Wonder Woman is one of those rare but sublime moments when a piece of pop culture hits the cultural zeitgeist of the moment. It’s been a rough past few months, full of political turmoil, moments of terrible violence in usually peaceful cities, where hate speech and disagreement seem the topic of the day. This film has been compared to the peak of comic book films – The Dark Knight. Released in 2008, The Dark Knight hit a similar zeitgeist – it’s darkness, the chaotic ambiguity of the villain, the lack of moral clarity for the hero – reflected people’s frustration with their ambiguous futures as the economy crashed. The Dark Knight* remains a slightly better film, but Wonder Woman provides the major element missing from the film bringing us Heath Ledger’s Joker: Light and hope. Gal Gadot’s fierce performance anchors the film, giving it a verve and passion. Her Diana of Themyscira has a deep integrity and confidence in who she is. Even in the third act, as her faith in herself and in humanity falters, it is her upbringing as an Amazon warrior which grounds her. And the final message? We humans aren’t perfect, we cause war and destruction, but we can also love and do good. It’s that latter part which is worth fighting for. With our last few tentpole superhero films being about infighting among the heroes, the gray between right and wrong, and prejudice (see Batman V Superman, Captain America: Civil War, the dark future in Logan), it was incredibly refreshing to have a heroine who has a clear moral compass. The moment (as seen in the trailer) when she steps out of the trenches and onto the battlefield in full Wonder Woman regalia is spectacular – I’ve even heard some women cried at the strength Diana shows as she seeks to do what is right and just. As a film, Wonder Woman is well-acted, well-designed, and the plot clips along beautifully. It also features Princess Buttercup herself as Antiope, the fierce Amazonian general. The rest of the Amazons are incredible and I want to know more of their world. Chris Pine’s Steve Trevor (not to be confused with Chris Evans as Steve Rodgers) is a great foil and guide for Diana into the harsh realities of WWI. Who needs rescuing from a dread pirate, a giant, and a swordsman when you’re this awesome? The film knows it’s a comic book movie and uses highlights of fun and awesomely epic fight scenes to fulfill those expectations. What is most impressive is the film gives the consequences of Diana’s actions weight. She saves one group (LIGHT SPOILER) only to have them be destroyed. Because the film took time to be with that group for a few short scenes, we feel the weight and consequences of the villain’s cruelty – and we had two great villains in Dr. Poison and General Ludendorff. In other words, this film delivers all the explosions, sparkles, and humor we expect from a good action blockbuster while also giving all of the action emotional weight. Best out-for-justice line since Inigo Montoya. While I absolutely loved the film – and the awesomeness of Wonder Woman’s main theme track – this is not a perfect film. Below, I’ll discuss a few things which didn’t work for me. Thewlis was fantastic as Ares when he appears in the glass and taunts Diana. The mind games were well-played. Thewlis as Medieval Transformer Ares was the only poorly designed element of the film and he wasn’t very believable as this action hero. The whole sequence of god-powered punching back and forth lacked the emotional heft of earlier scenes and was a decent climax, but not as great of a climax as a film this good deserves. Once again, though, Gal Gadot sells Diana’s passion and strength, which carries the bits of rather silly, Video Game Boss Battle-esque dialogue between her and Ares during the fight. It’s this one sequence which places this film just behind The Dark Knight in the hall of great comic book movies. My other issue is when Amazon Princess Buttercup leaps in front of a German bullet to save Diana. If Antiope knows Diana is part god, wouldn’t she know Diana would be fine? I don’t think this is a major plot hole – we can assume Diana’s never been gravely wounded before and is just coming into her powers. Also, this moment is absolutely necessary for the emotional and plot narrative to move forward, giving Diana a greater weight. Antiope is the wise guide sacrificed to build the hero. It’s a great scene. I expected to enjoy Wonder Woman, but not as much as I did. I saw La La Land in theaters a few months ago and thought this year’s WIT Awards were already done – even with a certain movie set in a galaxy far, far away coming out this December and with Beauty and the Beast being significantly better than I expected. La La Land is a wondrous confection to fulfill a film and musical nerd’s dreams. However, Wonder Woman is fantastic. So, your move Spiderman: Homecoming and Star Wars: The Last Jedi. Have you seen Wonder Woman yet? What did you think? What other booty kicking female characters need a similar movie? Who else would love to see a Marvel/DC crossover with Wonder Woman and Agent Carter? What are your top 5 comic book / super hero films? As someone who grew up watching Batman: The Animated Series along with my brother’s collection of 50 Batman action figures, I actually prefer The Dark Knight Rises. The third film of the trilogy is inarguably a lesser quality film, with some silly moments like Tahlia Al Ghul’s awkward death scene and Bane’s accent. However, Anne Hathaway’s Selina Kyle/ not-Catwoman and Joseph Gorden Levitt’s John Blake / Robin / Nightwing were fantastic. Also, Batman, for all the junk he does to save Gotham, gets a happy ending with Catwoman. What more can a Batman fan who also loves Jane Austen want? How are you feeling about the change in directors for Star Wars’ Han Solo film? Opie, you’re our only hope. I was just thinking about The Dark Knight yesterday and comparing WW to it so I’m glad you brought that into this. 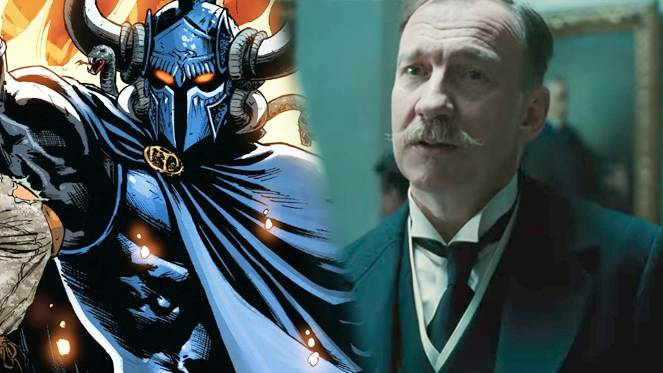 I agree with Thewlis transforming into Ares as…lacking and eyebrow-raising. I’ve heard a lot of people were kind of pulled out of the story abruptly at that. In terms of this line, “My other issue is when Amazon Princess Buttercup leaps in front of a German bullet to save Diana. If Antiope knows Diana is part god, wouldn’t she know Diana would be fine?” I thought that it was an instinctual movement coupled with the fact that…you don’t really want to test fate, right? Bullets may have been unknown to them and it was killing off the Amazons really quickly so who knows what it would have done to Diana? I mentioned this in another WP post, but my favorite part was the beginning and seeing women interact and rule a women-only country without pettiness and cattiness that Hollywood loves to display when more than two women get together. I also liked seeing Diana’s relationship with her mother as mother/daughter relationships are so lacking in movies outside of chick flicks (and even then it can be bare at times). It was healthy and normal. Overall, I loved the movie. The ending battle was eh, but it wasn’t horrible by any means. I loved Gal Gadot as WW and I can’t wait to see more! I loved the compassion she brought to the character and that scene where she rises out of the trenches gave me goosebumps. The mother-daughter relationship is well-done and also creates a great backbone to the movie. And, it’s going to be tough for a sequel to contend with the scene of Wonder Woman rising from the trenches and taking care of business. I haven’t seen ‘Wonder Woman’ yet. Sounds like I should. I’ve generally avoided the comic adaptations to film for years – the characterisations in ‘Watchmen’ (which was a fantastic expose of human nature and morality) rather spoiled the superhero genre for me – everything since has seemed far too simplistic and cartoonified. Wonder Woman has a good balance of the fun we expect from comic adaptations with enough depth to carry the story. It feels more like a classic mythological hero’s journey than an adrenaline ride of explosions. I was skeptical of the introduction of Sir Patrick, but I actually thought that Steve’s assistant (don’t remember her name) was the character who didn’t jive. I wanted to like her, but her awkwardness felt a bit over the top. First, what’s the best DC film? I think Wonder Woman is the best of the current DC films. And, Diana storming No-Man’s-Land is definitely the best part of the film. As for Sir Patrick, I think he worked overall, just not as the video game boss at the end. I’d agree Steve’s assistant felt off from the rest of the movie – didn’t serve a full purpose other than to move a plot point or two along. She was more cartoonish than the rest of the film. Although, the scene where Diana runs through the turnstyle is amazing.